It was inevitable that Bell Fruit would release a £100 jackpot fruit machine based on Deal or No Deal’s Box 23, and here it is. Deal or No Deal Box 23 fruit machine is a combination of various DoND fruit machines, with the addition of a new bonus selection and of course the famous Box 23. DoND Box 23 can be played on three stakes; 25p, 50p and £1. Playing on £1 will trigger the DoND feature with three phones in view, the other two stakes will need three phones on the winline or to gain the additional phones during feature game play. The feature board is spread between three levels in a similar way to Red Mist, however the centre level has additional features and progressive levels rather than cash values. You can step between levels until you collect or lose the game. You can lose via a mystery or directly by landing on ‘game over’ on the outer level. 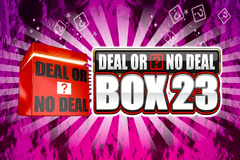 Although DoND Box 23 has many features and various streaks, the main reason for playing Box 23 is for the Deal or No Deal bonus game. The bonus game is not only the most fun, but often the most rewarding aspect of this £100 jackpot fruit machine. 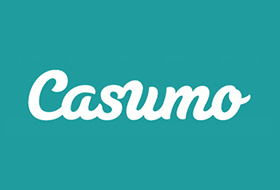 With 16 prizes available including a progressive cashpot which can reach up to £100, the £100 itself, £50 and a slightly worse £25. There are of course many other lower value wins that can just as easily be won, including 10p and a penny. When the bonus game starts, it will be played in the usual way that you would expect from any other Deal or No Deal fruit machine, with various offers from the Banker which give you the choice to back out early on. You can either deal or play to the end, this will not affect the chance of been offered Box 23. As far as I can tell, Box 23 is totally random and can offer one of five results, including the chance to double your win, or walk away with a penny. 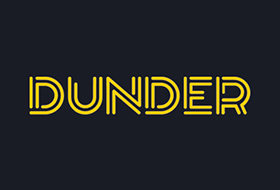 You may wish to push for a jackpot or large win on the DoND bonus game, as a small win will likely re-trigger the bonus game early on to give you another chance without costing too much. The largest win available is £100, however you may get a repeat chance to take you to a maximum of £200.